My personal opinion is that mastering technology is especially critical for flight instructors and examiners. Unless a CFI is fully comfortable in the operation of the newest technology, they cannot efficiently teach and evaluate the use of these new aviation tools. Watching the younger pilots teach their CFIs how to survive with an iPad is unacceptable and unprofessional in modern aviation education. (I go back a ways but I remember an older CFI that had not yet mastered the “new fangled VOR receiver”) It is easy to get “out of date” in modern aviation. I would encourage all pilots and especially CFIs to become fully literate in the use of modern aviation technology. But of course the question is how can you achieve this level of comfort and mastery without an expensive flight school intervention? The courses through Pilot Workshops provide an excellent training on modern technology and provide exposure to the busy piloting environment. The recent IFR Focus series is fantastic and has excellent video on flying with modern technology. SAFE members can join Pilot Workshops FREE (waive the $199 member fee), just log into the member portal. There are courses from “stick and rudder” right up through complex GPS/IFR approaches. Though there are many excellent iPad platforms, ForeFlight is the most popular app for integrated flight planning and navigation on the iPad. ForeFlight was early into the aviation game and continues to improve with each new release; now System 8. (SAFE members receive a 33% discount on the member portal). But though ForeFlight is a very intuitive platform, it is comprehensive and I still see far too many pilots, and especially older CFIs, fumbling through the operation of this app. For safety and efficiency, I would highly recommend a new course from The Modern Pilot we are now happy to provide at an incredible discount to SAFE members. 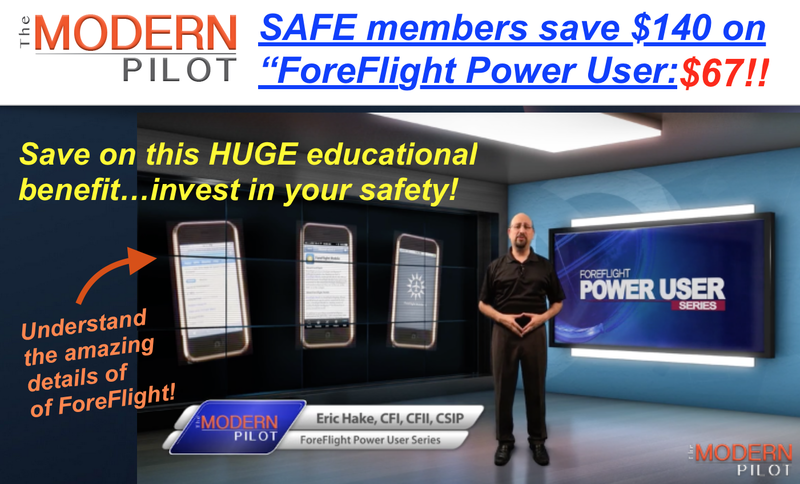 The Modern Pilot has developed an all-new online video training course “ForeFlight Power User” available at a discount to SAFE members. After years at ForeFlight answering questions and providing support, this veteran employee (and SAFE member) has established an independent business and created a very thorough ForeFlight video training course. It helps that he is an experienced CFII and CSIP and experienced educator. This course grew out of years of experience answering questions and writing support e-mails and is driven by real user needs. For only $67 SAFE members get the full 27 videos and a full year membership to the forums. This offer also includes a 33% reduction on all future courses. Compared to anything in aviation, this is a bargain. SAFE members just log into the member side of our website and access this valuable new benefit. To be a professional pilot (and CFI) it is essential to not merely *survive* with technology. 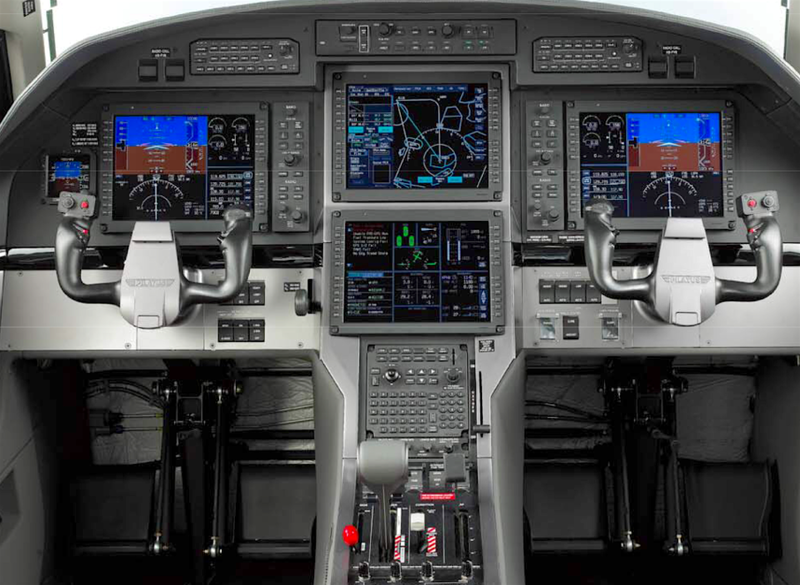 It is essential to be fully “pilot in command” of these technological tools. Use this opportunity to become a confident “ForeFlight Power User”.